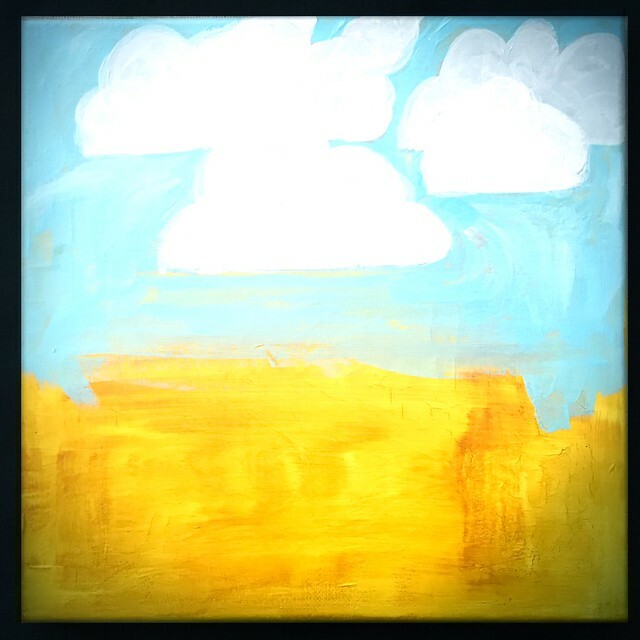 I was very disappointed so covered it up with gesso and tried my hand at a landscape from my imagination. 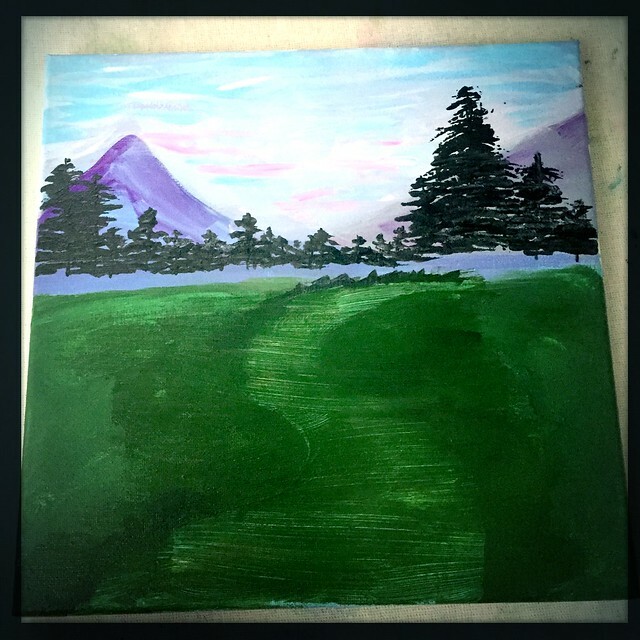 This was from one of the first days of painting, I ended up adding some purple mountains with snow and then didn't know what to do with the meadow in front so I soaked the canvas to remove all the paint and decided to try again. 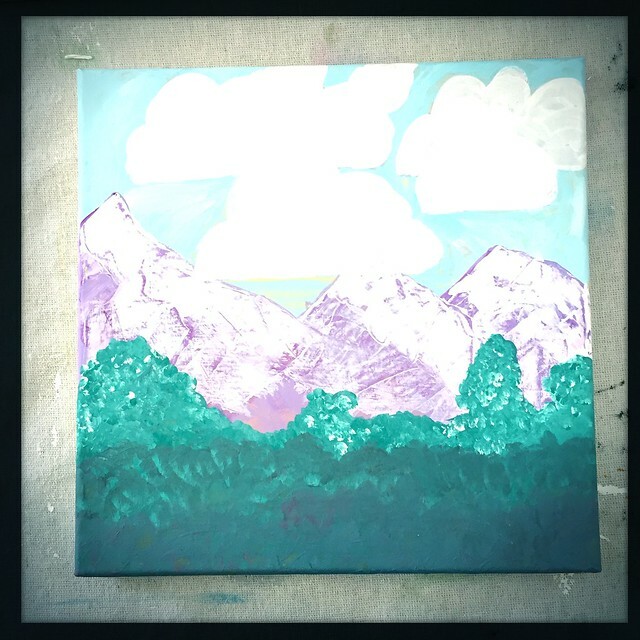 As you can see, this is not a landscape, it started as one, but I didn't like my clouds so smudged it all into the pretty background that reminds me of unicorns. 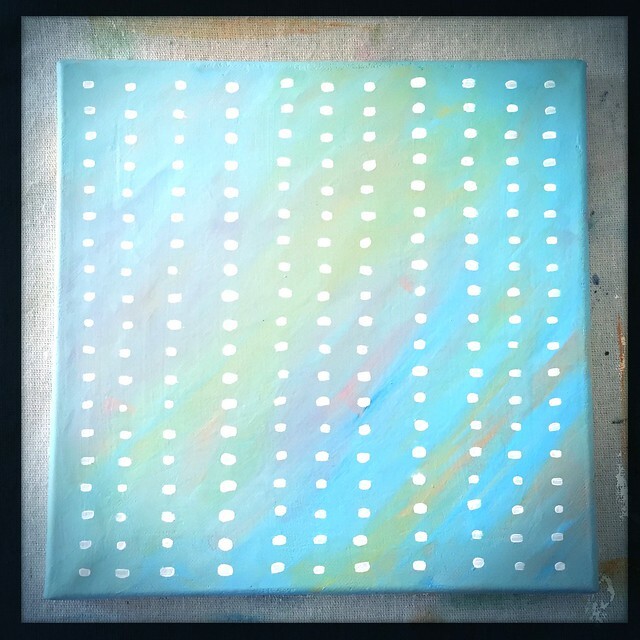 After a few days of looking at that, I decided to just add some lines/spots in a grid a tiny bit like Agnes Martin (but obviously not as thought out/precise as her work). I like it better than my last few paintings.